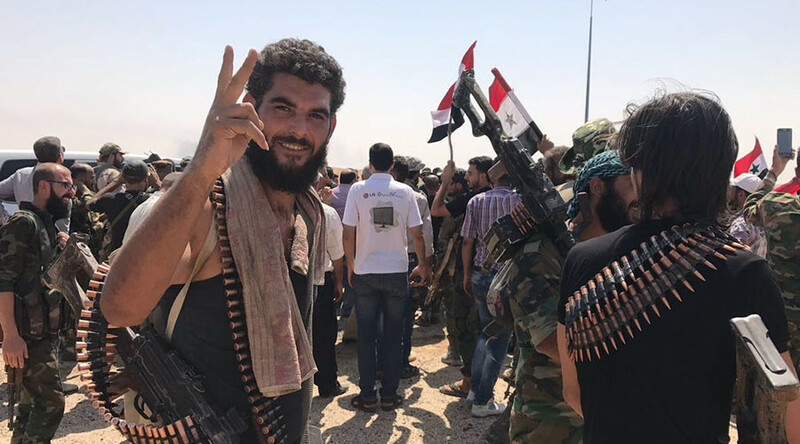 Syria’s military have liberated around 85 percent of the country’s territory from the control of insurgent terrorists, according to the latest statement by the Russian Ministry of Defense. Lieutenant General Aleksandr Lapin, Russian chief of staff in Syria, told reporters at Khmeimim air base that the Syrian forces will now have to liberate the remaining 15 percent, around 27,000 square kilometers. Lapin also said that Syrian troops are continuing the operation to free Deir ez-Zor from Islamic State (IS, formerly ISIS/ISIL). “Currently the operation to free the city is ongoing. The Syrian military will soon finish off the IS forces that used to occupy the city’s neighborhoods,” the Lieutenant General said in a briefing. The blockade of Deir ez-Zor was broken on September 5 by Syrian forces, after three years of IS control of the city. “Over 450 terrorists, 5 tanks and 42 pickups with heavy machine guns were liquidated during the operation,” the Lieutenant General added. Russia has been providing assistance for the Syrian forces fighting IS since 2015, and with the Russian military’s help, the Syrian army has freed Hama, Homs, Latakia, Palmyra and Aleppo. In March 2016, Russian President Putin ordered a partial withdrawal of Russian forces because they had reached all of the goals that had been set for them in the country. Nevertheless, a small group of Russian military planes remains stationed in Khmeimim and continues to strike terrorist positions. Russia has also deployed special forces and anti-aircraft systems in the area to protect the base from attack.